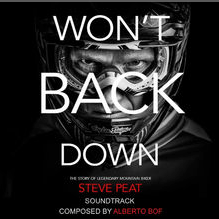 Won’t Back Down Soundtrack is available on iTunes!!! Last time I released something solo, with my real name, was the album BOF in 1998. It was over here in Los Angeles. Things were a bit different, and I was too. 16 years later, here I am again, in Venice California, after travelling through life and many places, after living in London and Paris for a few years, releasing an entire soundtrack for one of the best sports docufilms I’ve ever watched. Hope you all enjoy and, obviously, there’s much more to come.